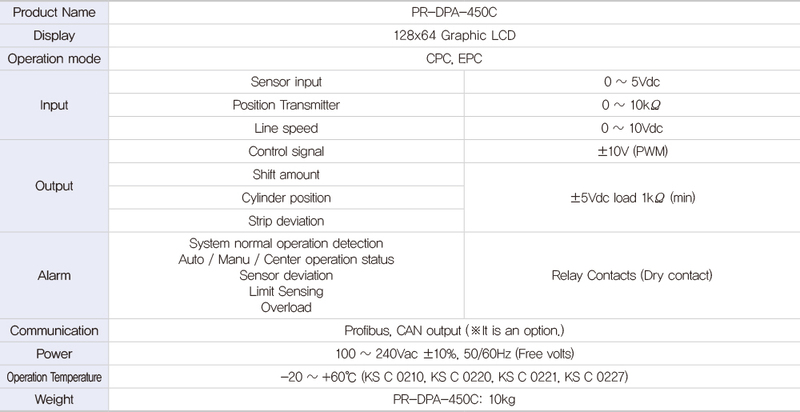 PR-DPA-450C are controllers that can control both CPC/EPC. They are compatible with all of our CPC/EPC sensors. Can be combined with a servo hydraulic unit to build an automatic control system.